relationships – It's An Adrienne Thing! Since I’m on a vacation, I’ve had just a few extra moments to do something for me. I say a few moments because it’s a “family vacation”. 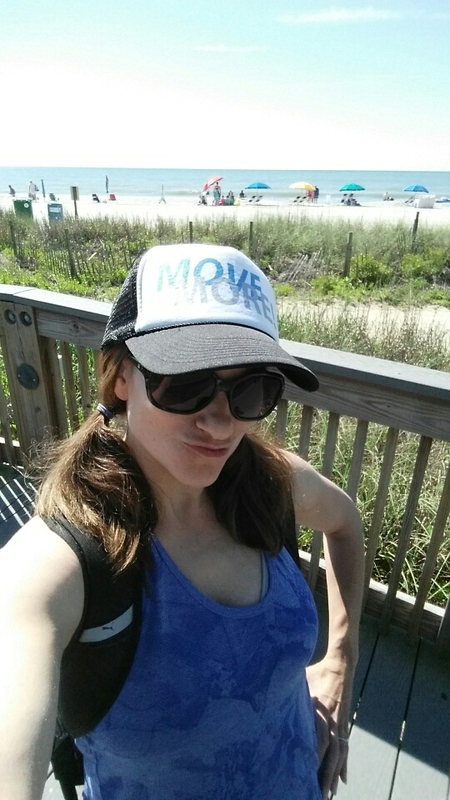 And Mommys – I know you can relate that a family vacation does not mean vacation from mommy duties. During the few moments for myself, I enjoy Studying for my Nutrition Certification and writing. This particular topic been a huge theme in my life as of late and it certainly coincides with my previous blog on Fairness or Happiness. 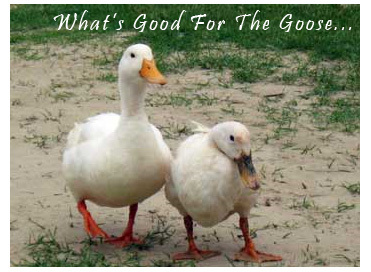 Let’s dive into the meaning of “What is good for the Goose, is good for the Gander”. According to Wiktionary, “What is good for one type is equally good for another type, despite any irrelevant differences between the types”. Now, I have been on both sides. In my previous marriage and earlier relationships between my sisters, I will freely admit I would give the double standard. With age and Faith, I’m a little less of the “Gander”, or is it Goose? 🙂 I think you get my point. I don’t know the author but loved that she nailed this issue and offered words of wisdom. The fact is, don’t be mistreated or mistreat in any relationship. Be strong, work it out and recognize when it it’s happening. That’s my 2 cents for the day. My view on vacation, which is how I have some moments to write. Many start their New Year’s Resolutions January 1st, or somewhere around there. Let’s face it, the Holidays are incredibly busy leaving me not much time to figure out real solid goals & intentions for the New Year. Instead of quickly compiling a list of goals or resolutions right at the start of the New Year, I decided to take a Yoga Group’s Instagram Challenge. This seven day Challenge gave me a chance to really focus on what, where , how and why I’d like to improve. After this seven day Challenge and much reflection, thought and prayer, I’ve come up with my 7 Intention Filled Actions For A Better Me. For the next year, I will work on Acro Yoga with my sweet minis, Summer, Autumn, Ryan & Skylar. Spending time, capturing moments and moving more! Maybe even get my husband in on it. Oh yes of course this includes pinchas, handstands and other funky things. One of the many benefits of Yoga is it’s a great antidote for muscle imbalances and misalignment. My knowledge goal is to learn more of which poses aid in healing & incorporate more of these basic yoga poses to myself, students & clients. Maintaining healthy relationships is incredibly important to me but I may not always be great at it. As stress arises, I tend to runaway or lash out at the ones who mean so much to me. The pictures represent each part of my life. 1st- I’m a Catholic Christian & God has to be at the center for me. If He’s not….well everything kind of goes down the drain. Without Him, I’m nothing. Our relationship hasn’t been the greatest the last 2 months, I’m not going to lie . Totally my fault….. but that is changing. Next my kids, my husband, my sisters (I have 3) & family/extended family- including my girls’ step mom, half brothers & father. Finally, my students & clients & of course the Move More Fitness family. I’ve decided to change my diet up this year. Instead of my normal Protein/Superfood Shake, I’m trying something different. Same idea, just different products & ingredients. After 6 years of being on the same product, my body needs a change. I will omit as much wheat from my diet as I can. Please note, I’m not claiming it is bad for a person and believe me I had my fair share. Growing up Italian we lived on bread & pasta. I’m finding that my body just doesn’t like it like it used to. Oh….I will be eating carbs, don’t get me wrong. My point is , listen to your body. It will talk! I will also continue to take my Wheatgrass shots , as I fully believe it is the cure all! Seriously. Get a shot! There are several bad habits I’d like to break. The biggest is negative thinking. Find those triggers and nip them in the bud. If thoughts start to come into my head say “Bu-Bye”. I’d like to be more mindful of recognizing others good deeds and make an extra effort to show appreciation. Especially to my Husband and family. I have had many bumps, turns, detours in my life and I know it’s not over. I thank God He has never left my side even though I may have put Him on the back burner. The same with my family. They have never ever left my side and what a beautiful blessing to have such an amazing family who’d do anything for me and my children . Reflecting back….I have not taken full advantage of my blessings. I mean that’s the idea, God blesses us and wants us to share His gifts. I want to make sure I do everything -parenting, business, teaching, training, social media, and whatever else is thrown my way- the way He intends me to do them. It will be very hard and I may not adhere to everything but I’m ready and willing. Ponder these areas one day at a time and create your own 7 Intention Filled Actions for a better you. Please feel free to share! I believe if we state our intentions to one another, we will most likely follow through with most, if not all! I wish you all a healthy and happy New Year. I hope this gets you thinking of changing just one small thing in your lifestyle to be a tad healthier, happier & nicer.